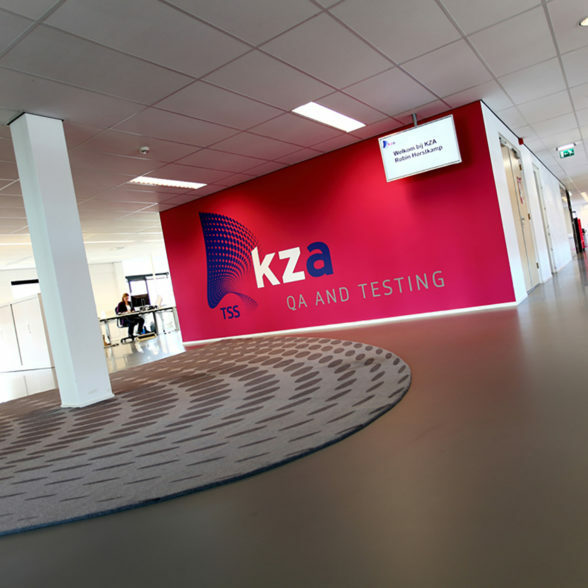 KZA is an IT consultancy agency that helps companies implementing and testing their IT infrastructure. 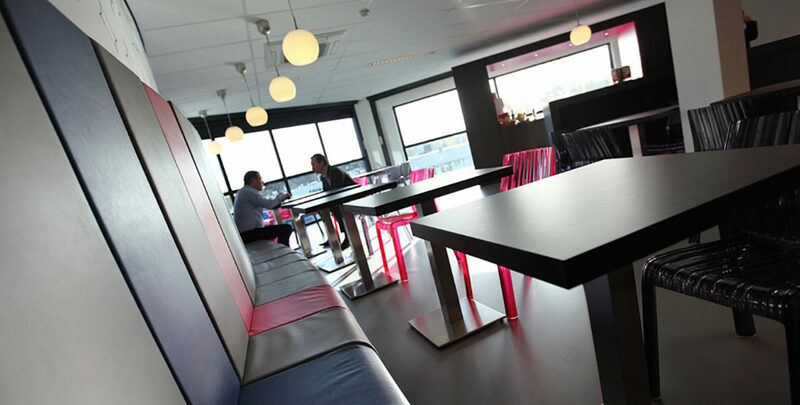 As most of their employees work on location with clients KZA aimed to create a warm and welcoming office athmosphere to welcome their employees when they are back home. 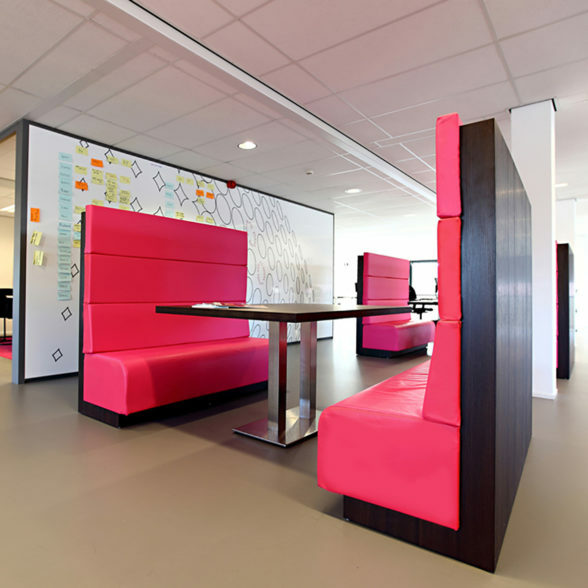 We designed an office environment in which the brand values were communicated in all public areas all-in line with the strong and clear corporate identity of KZA.